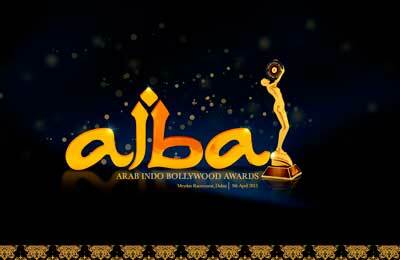 Benchmark in association with Adplay and Al Bustan Group, have launched the first Arab Indo Bollywood Awards (AIBA) 2015. The awards will be held on April 9 at Meydan Racecourse, Dubai, to recognise the best talent in the B-Town industry rolling out the gold carpet to over 150 Bollywood stars, said a statement. The award categories will recognise the best from the field of acting, direction, music, choreography and scripting, it said. Supervised by Crowe Horwath, the pre-selection eight-member jury have arrived at the final nomination list, which is now open for public voting. In addition, the event will feature a three day star-fest and celebration; allowing fans to get the most out of their experience with their favourite celebrities. It will begin with a roadshow on April 8 followed by the awards ceremony on April 9 and after-party with the stars on April 10. Hosted by popular producer/ director Karan Johar and Manish Paul, the awards is set to be a festival of talents from Bollywood and the Arab world. Featuring over four hours of celeb-interaction, entertainment and performance from Salman Khan, Priyanka Chopra, Jacqueline Fernandez, Varun Dhawan, Parineethi Chopra, Neha Dhupia, Kanika Kapoor, Meet brothers and many others – the three-day event promises to be a memorable experience for all. Arbaz Khan, a famous Bollywood actor and producer, who is also one of the jury members, said: “We have validated every category/entrant and after thorough scrutiny and mutual consent we have arrived at the final nomination list. I would like thank the UAE government for giving AIBA the platform to showcase our talents and bringing us closer to the millions of fans that reside in the UAE and GCC.